What can deX do for you? 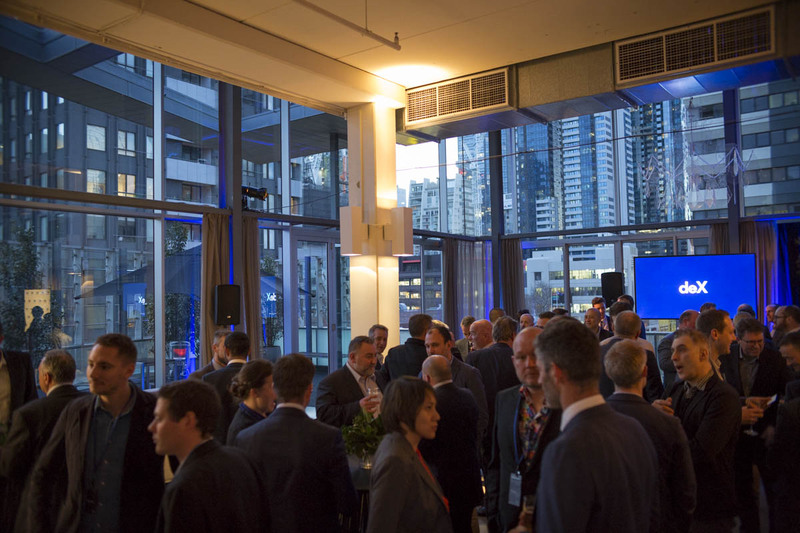 The Australian energy industry came together in Melbourne tonight to officially unveil the future of the Decentralised Energy Exchange – deX – an industry backed marketplace that will transform the way energy is shared, stored, used and traded. 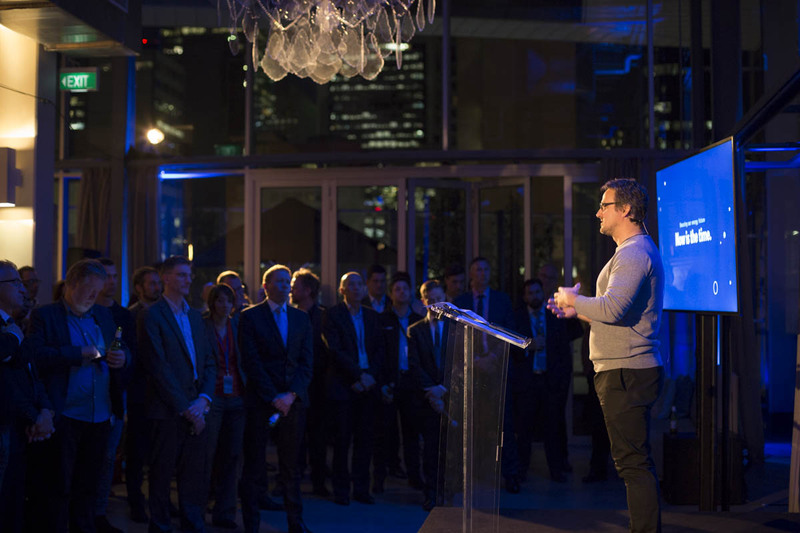 In front of more than 150 guests from across government, business and the energy sector, GreenSync CEO Dr Phil Blythe, for the first time announced the 37 industry partners that are supporting deX and revealed the roadmap for the roll out of deX. From major electricity retailers, to utility networks, technology vendors and industry associations, the level of participation from key players across the industry has sent a clear signal that the deX approach has industry wide support. “This is the first time that industry has come together in this way,” said Dr Blythe. “This is an opportunity born from our current energy crisis, deX provides a framework to increase customer value, improve system reliability and manage the transition to a renewable energy future. “We are acknowledging that our energy ecosystem has changed and now we need to come together and re-work the system for everyone. “I think the industry and the community have been waiting for this and it shows in the level of interest in just six months. We’ve taken all the feedback and we’re unveiling a model that works for everyone,” he said. The deX platform is an open exchange where energy capacity can be transacted between businesses, households, communities and utilities. Like any marketplace, deX software facilitates an exchange between market participants, ensuring open access that is safe, reliable, simple and transparent. deX brings distributed energy resources (DERs) online to deX participants, making them visible in the network and dispatchable when required. Agreements can be formed and capacity from DERs can be aggregated to provide wholesale, network and system wide services. Dr Blythe took the opportunity on Thursday night to also unveil the key streams of the deX platform, including deX connect, deX vision and deX markets, with the first release set for Q1 2018. “deX is already live in application and changing the way we generate, trade and use energy, but there’s much more to come,” he said. deX connect will see the release of an API protocol to allow open access for a range of technologies to plug into the deX platform. 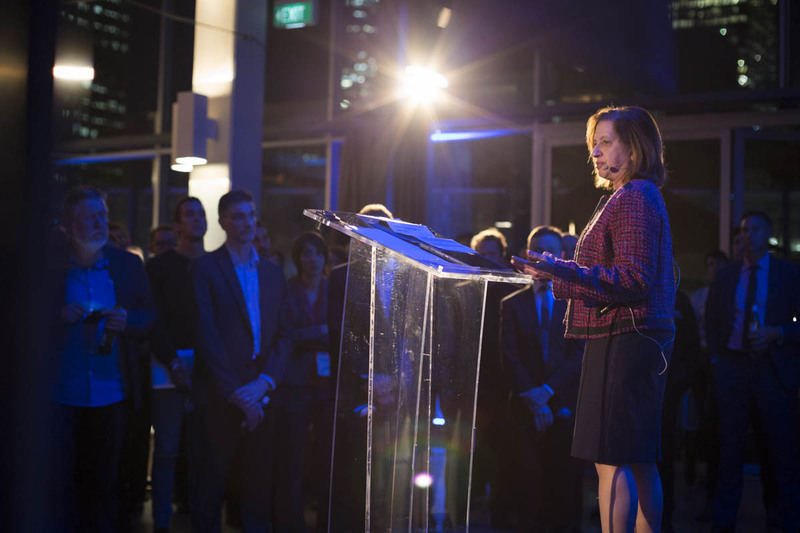 The deX initiative will work with Energy Networks Australia on the development of national connection standards as well as other industry organisations including the Clean Energy Council (CEC). deX vision will give market players DER visibility like never before. Network utilities will be able to see assets as they come online, allowing for better coordination as DER penetration increases. deX vision will allow the location, capability, capacity, availability and the context of DERs to be visible to the marketplace. Finally, deX markets will allow electricity retailers and emerging energy service providers to buy and sell services from consumers and aggregate value for wholesale markets and allow infrastructure operators to procure services for system reliability and security. In February 2017, funding for the deX concept was announced through the Australian Renewable Energy Agency (ARENA) following its initial development through A-Lab, the agency’s award-winning grid integration innovation lab. ARENA CEO, Ivor Frischknecht, congratulated all involved in building the deX concept and is encouraged to see the first program coming to life out of A-Lab. “deX is not just a success story for GreenSync and its partners, it’s also an achievement that ARENA feels some ownership of following its involvement in an early pilot session for A-Lab. “ARENA’s A-Lab sessions have been important in bringing industry leaders together to facilitate breakthrough thinking on complex challenges facing the energy sector. “As we head towards a renewable energy future, deX will become even more important in facilitating an energy network that will only become more complex in the way we buy and sell energy,” he said. GreenSync has already secured four deX projects with its existing partners. In the coming months GreenSync will also announce additional projects and partners.